“Your Course: Digital Literacy” (Tvoy Kurs) project, conducted by PH International (Project Harmony, Inc.) and Microsoft, together with partner organizations in more than 100 cities across Russia as part of a Microsoft Tvoy Kurs initiative, was completed in January 2013. The project focused on training in basic computer skills for socially vulnerable citizens: the unemployed, pensioners, people with disabilities, people with low income and young people in difficult life situations. The training was carried out in computer literacy training centers hosted at universities, libraries, NGOs, and other organizations. Gaining ICT knowledge, coupled with access to the Internet and modern information technology, helps citizens to benefit from the country's e-government services that are aimed at tackling the unemployment, increasing their competitiveness in the labor market. For the people with disabilities who acquired ICT skills, this is a step on the path to social inclusion and a more fulfilling life in our modern world. During the implementation of the initiative from February 2010 to January 2013 more than 280,000 people attended Tvoy Kurs courses and seminars. This included more than 137,000 who received Digital Literacy certificates to prove their knowledge. The project received recognition and support right across the Russian regions, where regional programs to modernize the economy and the information society were delivered in partnership with the local authorities. The training was given not only to socially disadvantaged citizens, but also to municipal officials, health workers, school teachers and preschool child carers, experts of cultural institutions, and heads of territorial government. Thanks to cooperation with Telecentre-Europe, the European Association of ICT centers, and Telecentre.org, the global foundation for ICT centers, Tvoy Kurs centers were actively involved in international competitions and campaigns. 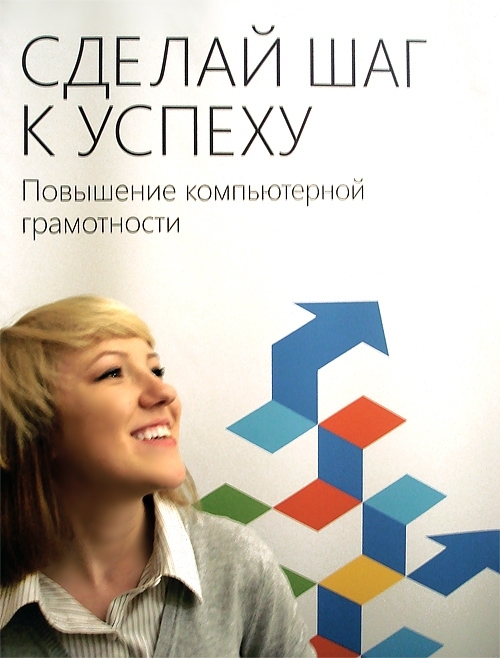 Six Tvoy Kurs center coordinators were included in the list of 100 Outstanding Telecentre Women Managers in 2011. Our coordinators became the best telecentre managers in Eurasia and Europe. Additionally, annual participation in the European Get Online Week allowed thousands of Russian citizens to get acquainted with the resources of the Internet and take their first steps in the world of information technology. Wonderful stories from all over Russia can be found in the Get Online Week 2012 report, which won the Telecentre-Europe award. PH International and Tvoy Kurs project staff hopes that after the completion of the "Your Course: Digital Literacy " project partner organizations will continue to deliver public ICT education. All of the materials developed under the project will continue to be available to partners on this website. Also it will be possible to still register and print certificates from the site. The project staff express their sincere gratitude to colleagues and partners for their work in the project and the contribution that they have made to the development of the information society in Russia. We are pleased that many of the centers have joined the new project "Your Course: IT for Youth" under the framework of the Microsoft Youth Spark, its new youth education initiative, and will so continue to work to teach computer literacy. Follow all the news on the new project website www.it4youth.ru. We wish all of our Tvoy Kurs partner organizations new and interesting projects, prosperity and well-being!